by Per Cederqvist, et al. 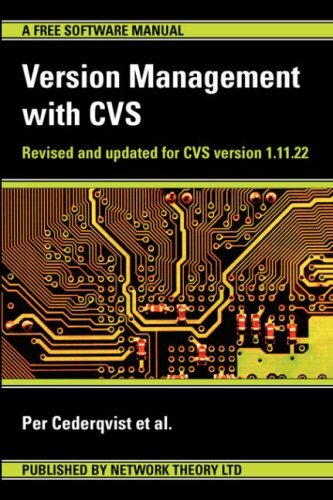 This manual describes how to use CVS, a powerful version control system. CVS tracks changes to source code and documents, allowing previous versions to be recovered at any time. Releases and branches can be tagged with symbolic names to record sets of files for permanent reference. Eclipse Hudson is a widely used, open source continuous integration server providing development teams with a reliable way to monitor changes in source control. The Hudson Book aims to be the authoritative and up to date resource about Hudson. Version control is used to track and manage changes. In our case, CVS version control is used to track any changes made to our web sites, whether it's a single edit of one file to fix a typo, or a series of adjustments where several files are added.